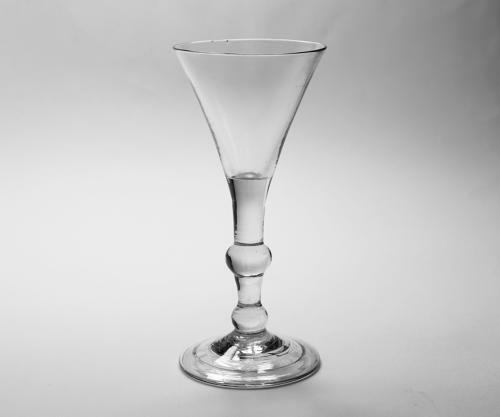 Drawn trumpet balustroid wine glass with centre and shoulder knop. Folded conical foot English C1735/40. Note: There is a tiny seed on the rim of the glass. See photo number 3.